Hello guys! I'm back with another giveaway ^_^ This time INTERNATIONAL readers can join! I'm very happy to announce that our friends from ULINX has released their new collection and they wanted one of you to own one! Isn't that amazing? So to those who still have no idea what ULINX is read on and find out. 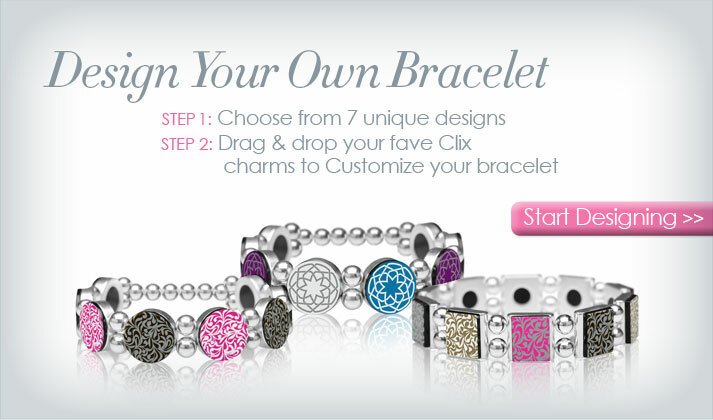 ULINX Jewelry offers an entirely different design experience for fashion-forward, contemporary women. ULINX modular jewelry encourages individuals to use their imagination to create customized jewelry designs that express their personal style and suit their mood. The world's most powerful magnetic spheres are the "linx" that hold everything firmly together, in this fully and instantly customizable jewelry collection. ULINX refers to the idea of linking together the modular magnetic jewelry pieces in combinations or designs called "Combos." The collection is made up of two components-- LINX and CLIX-- with an endless number of original Combos to be created. Their new line is Symbols and I think you'll agree - they are THE coolest accessory. Here are some photos of the symbols you'll love. These are my fave symbols and I'm sure you'll like them too :) Super cute and cool right? ULINX jewelry are great as a gift for someone special or a present for yourself. Want to win one? 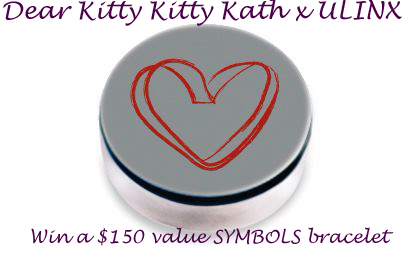 ULINX kindly sponsored a $150 worth of bracelet to one lucky reader and this giveaway is OPEN WORLDWIDE!!! Winners are allowed to create their own bracelet accordingly using the new SYMBOLS collection and prizes will be shipped to their home address. DO ALL MANDATORY STEPS PLEASE! At ULINX they believe self-creative expression is one of the things that shape the world and that is why a portion of the money you spend on their jewellery goes to the WE.LINX foundation. WE.LINX donates art supplies and other educational materials to help under privileged kids worldwide to express themselves artistically. Thanks for giveaway xooxox ..